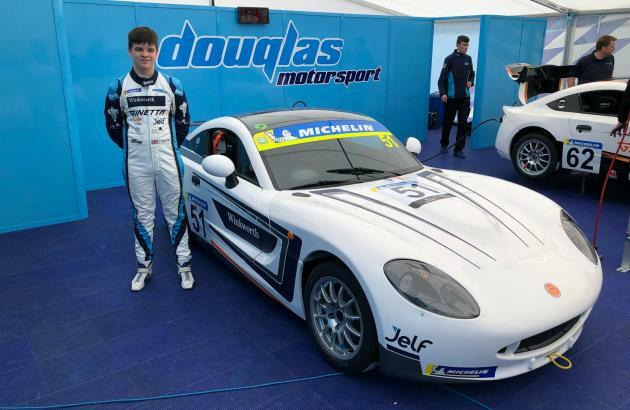 Douglas Motorsport are delighted to announce another signing for the 2019 Ginetta junior championship. We are pleased to welcome Zak O’Sullivan to the team. After a successful spell in karts, Zak is making his long awaited transition to cars. He joins Bailey Voisin, Gustav Burton, Lorcan Hanafin and Freddie Tomlinson at the team for what promises to be an exciting championship. Looking forward to the season ahead, Zak is delighted to be joining Douglas Motorsport and cannot wait for the new challenge. Wayne Douglas is delighted to have Zak joining the team. Barry Mears, MB Partners’ Motorsport Manager, is confident that Zak will make an impact on the series as he makes the step up. As Zak makes his journey into sportscar racing this weekend, the British youngster has obtained the support of a handful of national and international businesses. Winkworth (an international estate agent listed on the AIM London Stock Exchange), Jelf (an award-winning insurance brokers), SkyEagle Aviation Academy and John Charcoal (mortgage brokers). Zak’s debut season in the Ginetta Junior Championship will kick off at the Kent-based track, Brands Hatch this weekend (6th – 7th April) and has already got off to a flying start in the series as he topped the timesheets in the first practice session of the season.